Come decorate a beautiful wreath for the holidays. 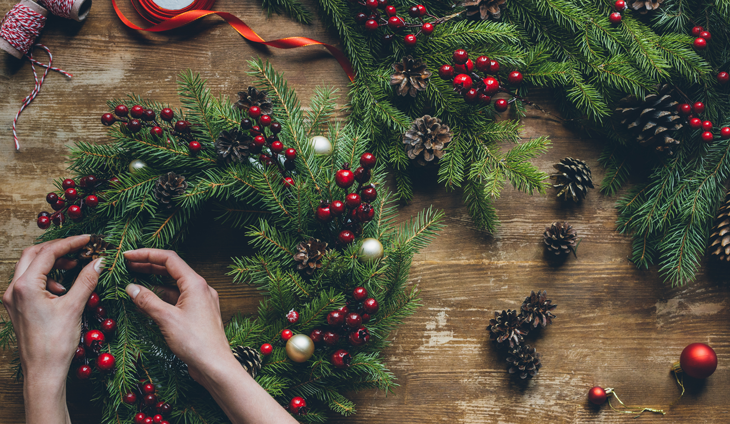 We’ll have a designer from everyone’s favorite local home & garden store to provide you with a fresh evergreen wreath, ribbon, and a variety of decorative stems and holiday ornaments as she guides you through the creative process. In addition she will share her ideas for updating your porch and planters for the holidays. 21 and over only, please. Tickets are non-refundable.